When people ask us, as ministers, where we get our support there are many answers. Our peers, our colleagues, our neighbours, our sessions and church committees are all potential sources for support. It is now 13 years since my ordination, and for the last eight years I’ve been a solo minister in a village where there is only one church. The nearest village is six miles away. Which means my nearest ministerial neighbour is also six miles away. It can be very lonely. Except it isn’t! Coincidentally, as I prepared to move to the Borders, I also met a candidate in training for ministry, she talked about this group she was a member of, who were all bloggers, and, from that moment a new chapter began. RevGals Marci Glass, Teri Peterson, Julie Rennick, and Kelley Shin (left to right) met up in Edinburgh, Scotland, in 2017. The verses from Ecclesiastes, that beautiful book of wisdom, are some of my favourite; I incorporate them into every wedding I conduct. If the couple don’t choose that reading, I’ll still quote it in the sermon, because it defines the love relationship between God and us. Through RevGals, I’ve made so many friends. Many of them I’ve still never met, but that hasn’t stopped us having real and deep friendships. The relationships are deep because the thing that binds us to each other, is not the “in real life” encounters, but the God encounters, words written on a screen. Direct messages of encouragement, help and advice, reading blogs, sharing sermon stories and inspiration, or seeking inspiration when the sermon just won’t come… all of that comes from being part of the blog ring and the Facebook groups. I write regularly, but I also do more than that, I make a monthly donation too. 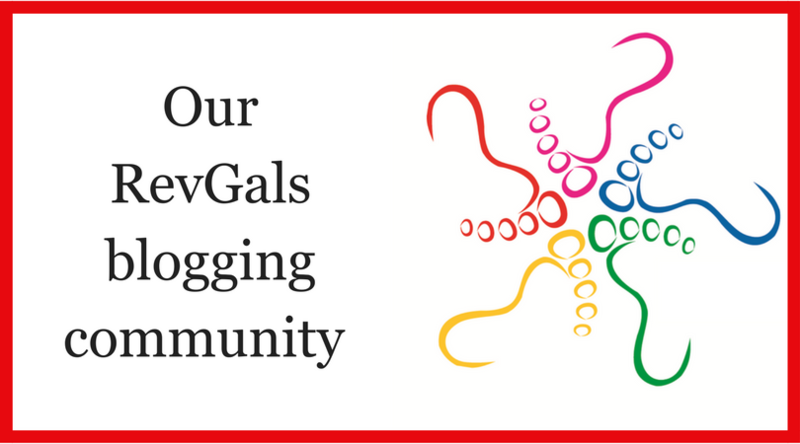 RevGalBlogPals has been and continues to be more than just a virtual presence, the meet ups, the big events, coordinating all the writers and bloggers. Keeping the admins connected, is a full time job… except it isn’t! Through my regular giving I know I enable all of these things to happen, and more than that, know that we are able to pay a small stipend to our director so that she can keep us all going. The cords of RGBP, bloggers, facebookers, trustees of the charity, board members, all come together from all corners of the world, and all are united, tied together by the strongest cord of all… God. God it is who calls us to serve in all the ways we do, as RevGals, and Pals and Blog writers, as sisters and brothers, God it is who binds us to each other, in and through God’s love. Click here to donate to our current campaign, Toward Strong and Lasting Connection. And, through that, whatever the size of the gift, you’ll know that RGBP will continue, providing support and advice, arranging get-togethers and events, blogging and writing, answering prayer requests, so you will never feel alone! Julie Rennick is a Church of Scotland minister, serving a rural community in the village of Earlston in the Scottish Borders. 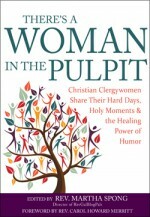 She blogs at A Country Girl, writes for Spill the Beans, and contributed to the RevGals book, There’s a Woman in the Pulpit.